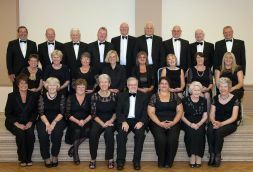 Indigo Singers Choir was founded by members of the Masonic Province of West Kent in 2012. It is a mixed choir singing in four voices, Soprano, Alto, Tenor and Bass. The programme of music ranges from popular secular classics to popular modern songs, including genres from show tunes and chart material. The choir has performed a number of times at Freemasons’ Hall in London as well as for public and private functions and charity events. Whilst the choir continues to go from strength to strength, we are always on the look-out for new members. You can be guaranteed a warm and friendly welcome. Previous experience would be an asset, but not essential. Our aim is to enjoy singing, have fun, entertain our audiences and maintain a good standard of performance. The Director of Music, Dr Christopher Parker has a wide experience, performing and accompanying in a variety of musical settings. He studied at the Universities of Liverpool and Durham and at London’s Institute of Education. Rehearsals are held weekly on Wednesday evenings at Oakley House, 358 Bromley Common, BR2 8HA starting promptly at 7.30pm and finishing at 9.30pm. Please let the Secretary know if you want to come along. If you wish to hire the choir for an event or if you want to find out more about joining, please use the form below to send a message to the Choir Secretary, Debbie Parker.